Evelyn Sharma is an Indian-German actress, philanthropist and wellness advocate. She marked her film debut at the age of 17 with the Hollywood film “Turn Left” and celebrated her break through in Bollywood with Ayan Mukerji’s 2013 blockbuster “Yeh Jawaani Hai Deewani” (YJHD) opposite Ranbir Kapoor, produced by Karan Johar. JYHD soon turned into a cult film for this generation and Evelyn into a youth icon, generating millions of followers from India and around the world and rose in popularity with her following stints in films like Divya Khosla Kumar’s “Yaariyan”, David Dhawan’s “Main Tera Hero”, Imtiaz Ali’s SRK starrer “Jab Harry Met Sejal” and her first lead role in “Ishqedarriyan” portaying the role of a young girl from Himanchal set out to help the ones in need. Discovering her Indian roots and whilst gaining more and more fame, Evelyn felt the strong urge to give back to the society thereby starting her own charity foundation Seams For Dreams (SFD) in 2015, that supplies clothing to the less privileged from Mumbai across the country. 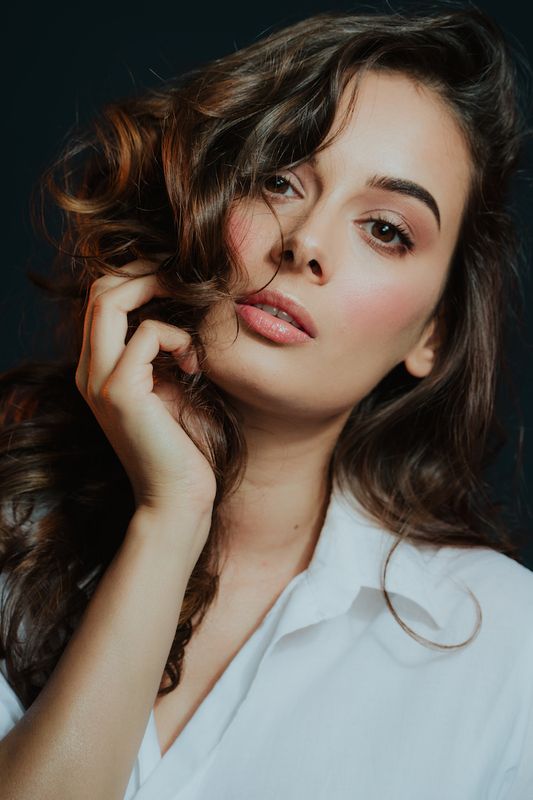 To get to know the stunning actress more, Women Fitness India joins Evelyn Sharma on exploring her journey as an actress and philanthropist, in the digital era. You marked your film debut with the 2006, American film ​Turn left and​ made your Bollywood debut in the 2012 Bollywood film From Sydney with Love and soon shot to success with Ayan Mukerji’s Yeh Jawaani Hai Deewani, opposite Ranbir Kapoor. What lead you to become an actress? I am half German, half Indian and I came to India to find my roots. I was already modelling and working in different countries when I came to India. In India I first started out as a model, but then I started getting a lot of offers from Bollywood and I took them up and now destiny has brought me here where I am today and there is no looking back. “Yeh Jawani Hai Deewani” will always be special and close to my heart as it gave me instant fame and people still remember me as “Lara” more than any other character I have played till date. You have an incredibly physique, share 3 things that are instrumental in maintaining a fit body? Thanks for the compliment. I feel fitness is a lifestyle, one can achieve great results with crash dieting and other short term methods but then the results are short lived. We should aim at being fit and healthy, internally and externally both. I love food and I am a foodie. I hardly diet but yes I follow a healthy lifestyle. I practice yoga for a healthy body and mind. I try and eat a balanced diet which comprises of everything in good proportions. I stick to a low carb diet. I also make sure that I get my 8 hours of beauty sleep. My advice to all the girls is, that please don’t opt for crash dieting, rather eat healthy, organic, home cooked food, have lots of fresh fruits and vegetables and do get your calcium intake from milk products. Exercise at least 3 to 4 times in a week to keep your body agile and fit and meditate to keep your mind healthy. Avoid junk food, processed food, aerated drinks, and sugar. Lead a healthy life to become fit. Pick 5 women who inspire you to be fit. My trainer Yasmin Karachiwala inspires me to be fit, many people in the industry like Lisa Haydon, Jennifer Garner, and Deepika Padukone also inspires me to do my best. I feel Kim Kardashian’s trainer ​Melissa Alcantara has some fabulous routines that keep me pumped. Healthy eating is a habit. With your kind of lifestyle, which involves lot of travelling, how do you manage to eat healthy? Also, share your 5 favourite Indian dishes. Healthy eating is a lifestyle and I try and follow it, despite my hectic work schedule and lots of travelling. Healthy eating doesn’t mean that you have to give up on everything that you like. You can still eat that chocolate or your favourite Gulab Jamun, but all you have to do is, eat it in the right proportion. Too much of anything is bad. I also feel that we should not eat with guilt and stress. If we want to have our favourite sweet, either eat happily or don’t eat it, but don’t consume it with all the guilt and stress, I feel stress leads to weight gain. I stay healthy, by keeping my portion size small and eating at regular intervals. I eat my dinner early and avoid late night eating. I love Indian food and being a Punjabi I love butter chicken, naan, biryani, rice and dal, aloo jeera and the list is endless. After a hectic day of shoot, how do you relax and rejuvenate? I relax and rejuvenate by taking a nice hot bath, a good massage or a spa, many times after a long day, and have a hot soup. I feel having a good eight hours sleep is a sure shot way to rejuvenate and get ready for the next day. My current favourite is float at movement sanctuary by my friend Puja so if I am shooting in Mumbai I make sure to book an appointment there post my shoot. I would recommend everyone to try it out. This interview is exclusive and taken by Namita Nayyar, President womenfitness.org and should not be reproduced, copied or hosted in part or full anywhere without an express permission.